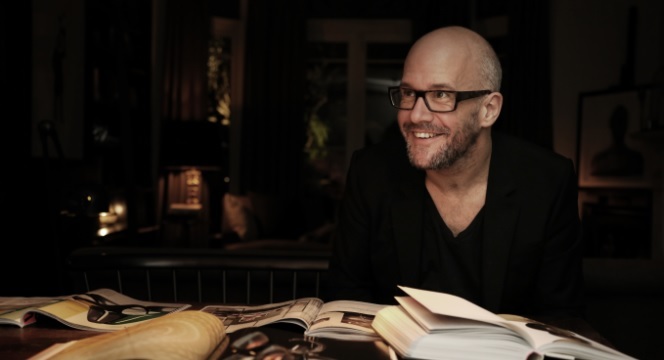 James Hilton, co-founder & former CCO of AKQA & founding partner of AtelierStrange on Apple Watch. I’m a watch nerd, and proud of it. I particularly love hand-wound watches, at which I marvel at the breathtaking craftsmanship of the mechanics. Once, I got to hold a watch that, on the face, had all the usual complications of hour, minute, second and date, but you turned it over to reveal a fully functioning star map. All mechanical. All in a case no thicker than your average. I had to sit down. Partly because it cost £120,000. But mainly because my trousers had suddenly become restrictively tight. Like a great many others, I suspect, I had been fantasising about the possibility of a watch from Apple since – oh, I don’t know – 1992? When it was first officially announced in Septmeber of last year I desperately tried not to be overly excited. I tried to be cool. I tried not to go ‘full fanboy’ (“no one goes full fanboy”), but it’s entirely likely that by checking Twitter every two seconds for the best part of the evening I proved that I had taken the bait. Back then, that evening, I was out, supposedly having dinner but it’s fair to say my mind was elsewhere. No wi-fi - just 3G - meant no chance of streaming video. And so I experienced the future from just below a table cloth through a deluge of tweets. Not ideal. And so the Apple event unfurled; New iPhone? Yep. Shinier? Yep. Slimmer? Yep. Cooler than the last one? Yep. All my recently purchased cables and docks about to become obsolete again? Yep. Going to get one anyway? Yep. So far, so Apple. And then the moment was here: what I’d been waiting for since ‘92. And I was, in truth, a bit disappointed. I really didn’t want to be. I wanted to whoop and high-five people. But there it was, an undeniable sense of anti-climax. The word ‘unsurprising’ drifted across my mind. Bugger. It was imperative that I find a 4G signal, there was, after all, an Apple Video to watch. Why is it that the best 4G signal is always in the most inappropriate spot? Stood outside the ladies toilets, I managed to download the Apple Watch introductory video. As I tried not to look like a toilet-stalker, Sir Jony Ive’s tones filled the vestibule. Initially, my heart sank still further. Surely these overly earnest lessons in design theory have become a parody of themselves by now? Disillusionment lingered… But as I watched, the cooing and hyperbole blurred into the background as the beauty of the Apple Watch’s utility unfurled before me. Two minutes in and he could’ve been saying anything, and was; it didn’t matter – ‘the strap wraps symmetrically around the wrist’ – so that will be a watchstrap then? Like so many things in life, something can be beautiful on the surface but empty inside. Or it can be rather unremarkable to look upon at first, but only through interaction does its soul shine through – transforming the whole into something wondrous. And so it is with the Apple Watch: the sheer elegance of the object’s functionality rendered the immediate need for physical attraction, and made the irritation of hyperbole, irrelevant. Fast-forward to this week's official launch-launch of the Watch and I’m still not totally sold on the design. Whilst it is undeniably well-made, as you would expect, and the materials used are second-to-none, the overall effect lacks the wow factor. As I’ve said, this is quickly made up for by the clarity of interaction, and the numerous nice touches that make Apple products stand head and shoulders above the rest. But I wish they’d gone further. That said, Apple has yet again done what it does so well and by providing the most elegant of answers has created another irresistible platform for the world’s creators to imagine and build equally elegant questions. So, is it perfect? No. Does its physical design deserve the all the gush? No. But that’s not the point. The point is that Apple has hung back in the wearable’s race – deliberately concentrating on their game rather than being distracted with everyone else’s – releasing their product at a technological waypoint. A point in time when things are as good as possible with the available tools and materials: the quintessential full-stop at the end of the first chapter in wearable innovation, and definitive benchmark for chapter two. 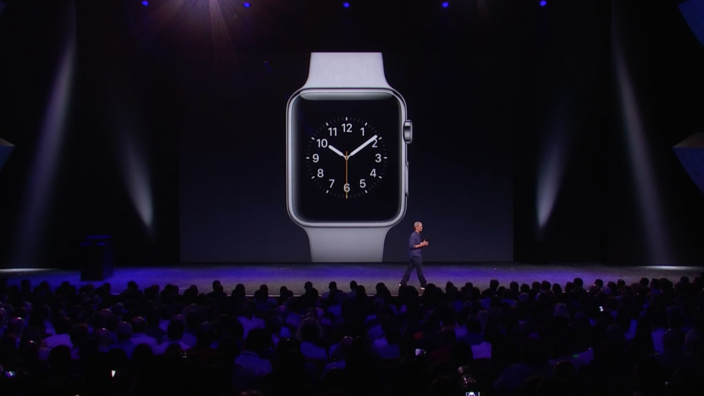 “We are at a compelling beginning” so said Sir Jony, and timing, it seems, is everything. 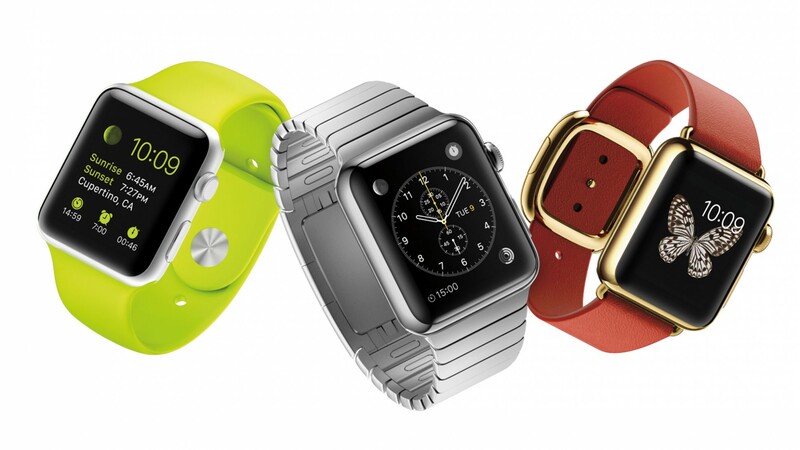 Apple Watch is the best there is right now, and probably the best there will be for another year at least. But as we all know, innovation eats itself, and even this shiny new thing will look dated and clunky in two years’ time. But by then it won’t matter, as Apple will have released a 1.5 and will (no doubt) be rumored to be releasing a Watch 2 soon. Nothing is permanent, and nothing changes.